Tucked away in the North Atlantic Ocean, Bermuda is home to just over 60,000 inhabitants. To put that into perspective, 75,314 people attended Manchester United’s last home match against Middlesbrough on New Year’s Eve. The whole of the British Overseas Territory’s population could have piled in and there still would have been excess seats. Yet, despite their modest population, they’ve produced some terrific footballers down the years: Clyde Best, Shaun Goater, Kyle Lightbourne, Andrew Bascome, Khano Smith and more recently Nahki Wells, the current national team captain, to name but a few. These players played/play important roles at their clubs. Best was a pioneer for black players in British football during the 1960s and 70s and he earned legendary status at West Ham United. 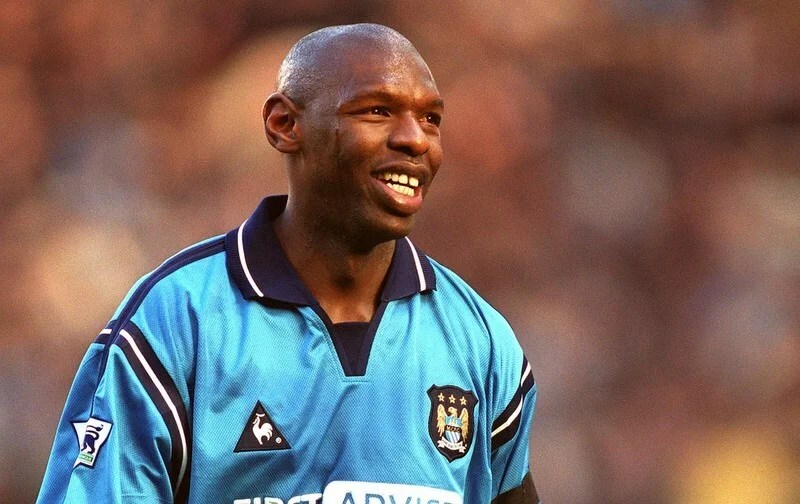 Goater was a goal machine for Manchester City and the supporters loved him so much that they created a song in his honour: Feed The Goat And He Will Score to the tune ‘Cwm Rhondda’. Indeed, ‘National Shaun Goater Day’ is celebrated every summer in Bermuda having been created at the beginning of the millennium. Lightbourne played over 100 times for Walsall and Stoke City respectively throughout the 1990s, enjoying the most success in the Black Country before securing a top-flight transfer to Coventry City for £500,000 which was good money at that time. Bascome was arguably the most gifted Bermudian player in the 1980s and he would have gone on trial with Ajax at 18 had it not been for a serious knee injury. He is now the senior national team manager. 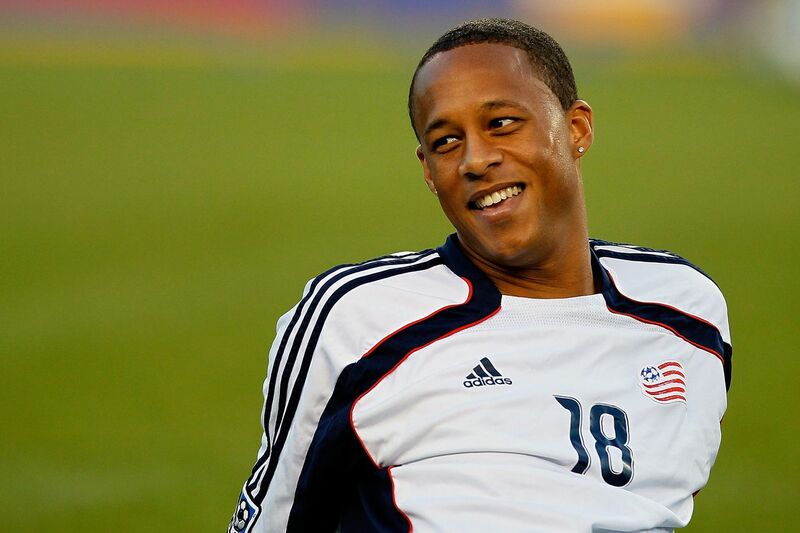 Smith was a hit with the fans at New England Revolution, who he represented more than 80 times during his initial three-year spell before moving to rivals New York Red Bulls where he made less of an impact. Wells started his career at Dandy Town prior to moving to England, truly announcing himself at Bradford City where he won a League Cup runners-up medal in 2013. He joined his current club, Huddersfield Town, a year later for a club-record fee on a four-and-a-half year contract. “There is no secret, really,” says Dexter Smith, editor of The Royal Gazette newspaper and a former international cricketer. “Bermuda have long had a history of producing individuals of real quality. Where we have struggled because of our size is in the conveyor belt of talent presenting itself in the same generation. Hence the limited success of our teams.” The generational crossover point is a valid one. Best played with the national side in the 1960s, Bascome, Goater and Lightbourne were late 1980s (with the latter two playing until early 2000s), Smith finished in 2012 while Wells, at 26, very much represents the present. So the island’s star players have missed out on playing with each other through the decades which is the inevitable result of a small population. An example from last summer springs to mind. A handful of players ruled themselves out of international duty for Bermuda’s rearranged Caribbean Cup qualifying fixture versus French Guiana after the original match which they were leading 0-1 was cancelled due to a waterlogged pitch. The Bermuda Heroes Weekend Carnival happened to coincide with the rearranged fixture and overseas-based goalkeeper Dale Eve, for example, didn’t travel but posted a picture of himself on social media at the Carnival. Eve received criticism from the management staff but responded a month later by calling the French Guiana trip a “fool’s errand”, insisting that he had been unfairly singled out. Looking at the bigger picture, are too many Bermudian players too content playing domestically and earning plaudits against opponents who are not truly testing them to the maximum? The landscape seems to be shifting but there is progress to be made. Former Soca Warriors boss, Stephen Hart, said in an interview with T&T Warrior Fan Zone in August last year: “Talent is only 20% of the formula. Talent will get you recognised, but you need more than just that. The question you have to ask is whether they [locally-based players] have it within themselves to understand what it takes to get to the top and the sacrifices that are necessary. In some instances they are too easily satisfied. I find that they are coming back home too quickly; they need to suffer a bit more.” Now this is in a Trinbagonian football context, yet Hart’s comments might well apply to some parts of Bermudian football as well. 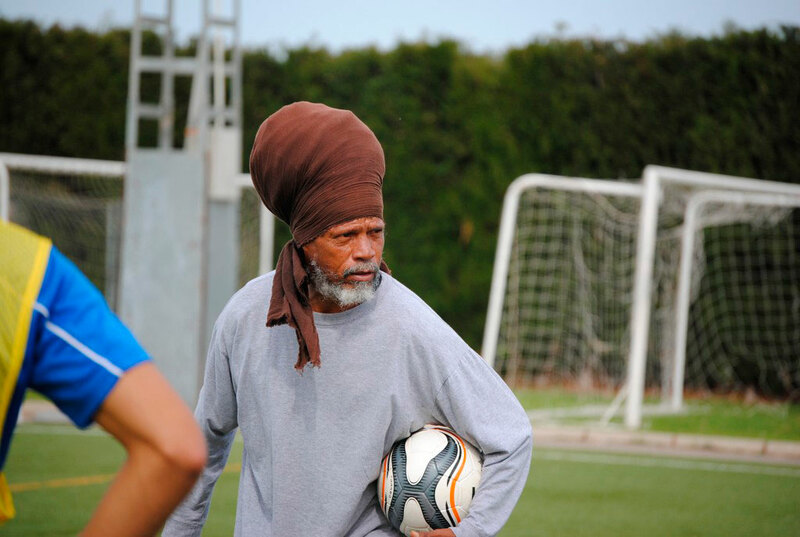 On a general scale, I feel as if a lot of Caribbean footballers possess the natural talent – that is not a problem. But are they mentally strong enough? Can they cope away from their families? Can they cope under pressurised, difficult circumstances? Can they take a step out of their comfort zone and test themselves in a new environment? These are all pertinent questions. Perhaps this is a post for another time. If you were to look at a map of the Caribbean, you would find Bermuda on the periphery, north of Turks & Caicos and The Bahamas. The island is actually closer to the United States than any island in the Caribbean – 700 miles off the coast of North Carolina. Bermuda will get the chance to test out their infrastructure when they host Canada in a friendly on 22 January. The game suits both parties. For Canada, they will use it as preparation for this summer’s Gold Cup. For Bermuda, just playing a match is so important given their next competitive fixtures will most likely come in 2018. There’s no way of climbing up the FIFA rankings, though, because the tie doesn’t fall on a FIFA window date. The last time the two sides met was in March 2007 and Bermuda lost 0-3 at the National Stadium. There is reason for excitement with a new generation of talented Bermudian youngsters coming through. From February to March, Bermuda will make their first appearance at the biennial CONCACAF U-20 Championship (last leg of U-20 World Cup qualifiers) since 1988. 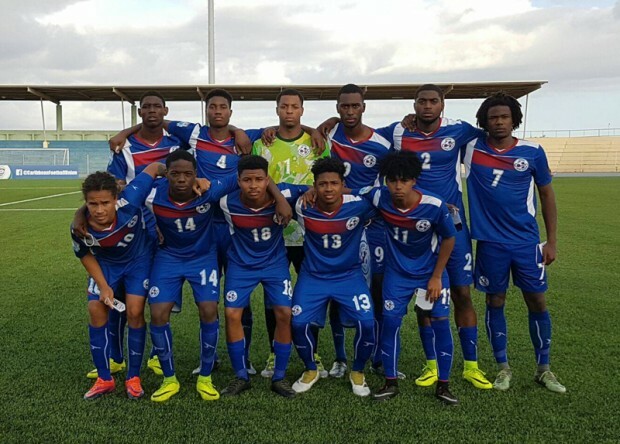 A team mainly made up of overseas-based players and led by Kyle Lightbourne, they finished 3rd at the Caribbean final round in October, behind Haiti and Antigua & Barbuda and ahead of Trinidad & Tobago and St Kitts & Nevis. The fact that many of the players are contracted to clubs outside of Bermuda has definitely contributed to their success. The side’s captain and defensive midfield pivot Kacy Milan Butterfield joined Lightbourne’s former employers, League One’s Walsall, in June last year. Highly rated midfielder Osagi Bascome, nephew of senior manager Andrew, is with Levante UD’s Academy in Spain. The two strikers David Jones, cousin of Chesterfield’s Rai Simons, and Tevahn Tyrell, who scored three group stage goals in October, both signed with English non-league outfit Ilkeston in April last year. Goalkeeper Jahquil Hill has experience in between the sticks for Mansfield Town and Ilkeston. It is worth pointing out that Bermuda have a partnership with Ilkeston which began in 2013. They have been drawn into Group C alongside Costa Rica, El Salvador and Trinidad & Tobago. The top two from each group (A-C) advance to the final round, from there the top two from both groups (A-B) qualify for the World Cup in South Korea. The last Caribbean country to play at the U-20 World Cup? Cuba, in 2013. Bermuda beat French Guiana 2-1 with goals from Tre Ming and Reggie Lambe in the Caribbean Cup first round qualifiers, March 2016. Video credit: Bernews.com. 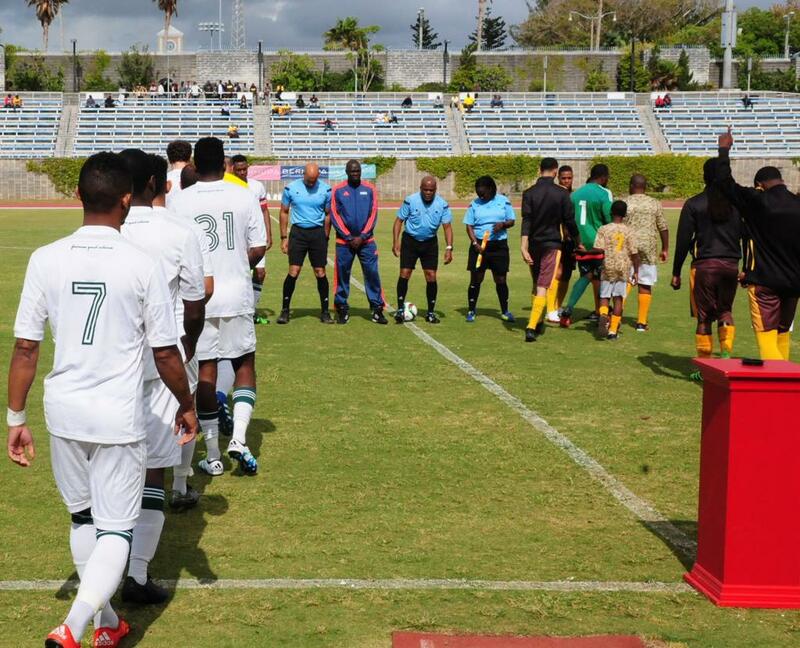 Bermuda, affectionately nicknamed as The Gombey Warriors, have never qualified for the Gold Cup, let alone the World Cup. Only eight Caribbean nations have played at the Gold Cup since its inception in 1991. They are Trinidad & Tobago, Jamaica, Cuba, Haiti, Martinique, Guadeloupe, Grenada and St Vincent & the Grenadines. French Guiana and Curacao are set to appear for the first time this year. In the latest Caribbean Cup qualifiers, Bascome’s men lost to Cuba away and beat French Guiana at home – coming from a goal down – in the first round to progress on goal difference. They were beaten by the Dominican Republic at home and French Guiana away in the rearranged fixture in the second round. Not having all their key players in camp together can sometimes be a drawback. For example, the talismanic Wells missed all the Caribbean Cup qualifiers from March and June because of a knee injury sustained with Huddersfield as the team registered just three goals across four outings. Rai Simons missed the first round qualifiers before returning to the fold for the second round. North Village Rams winger Kieshen Bean was unavailable for the second round, too. Some of the U-20 standouts such as Osagi Bascome, Butterfield and Hill were called up as replacements. If the likes of Wells, Lambe, Leverock, Lewis, Simons, Hall, Bean, Tre Ming, Drewonde Bascome (Andrew’s son) and Roger Lee can come together for the next Caribbean Cup and World Cup cycles, then there is no reason in theory why Bermuda can’t make the Gold Cup in 2019. They showed against Guatemala in 2018 World Cup qualifiers , drawing 0-0 in Guatemala City with a tenacious performance, that they are capable of holding their own against the better teams within CONCACAF. What’s more, Bascome is an experienced, progressive technician with coaching certification from Brazil’s D Licence, CONCACAF, USSF and UEFA B. He is the founder of the ABC Football Foundation, based in Bermuda’s capital Hamilton, which is ‘built on principles of a modern approach to football and youth development’. Although announcing his resignation last summer, he decided to come back in December and will take charge for the upcoming Canada friendly. He’s also just been named as Jomar Wilkinson’s successor at Dandy Town in the Premier Division. You can follow the interviewees for this piece on social media below. Many thanks to Khano, Dexter and Dante for their time and insight. No one can possibly make an argument that Bermuda is “in” the Caribbean. It simply is NOT geographically or mentally! The WICB knew that over 50 years ago when they denied a Bermudian cricket player eligibility for the WI even though he passed the trial with flying colours!! For the sake of this article, Bermuda are a part of the Caribbean Football Union and play in the Caribbean region therefore they’ve been described as so.